It is all about the lifestyle and in Palm Beach Gardens it just does not get any better than this spectacular first floor one bedroom home with panoramic water views. From the moment you enter the spacious entry foyer you will immediately realize it is all about the water, gracious living and the perfect south Florida home. The generous floor plan offers the perfect Florida lifestyle in the gated community of San Matera. The Tivoli model is the largest one bedroom unit in the community and has been tiled throughput by the current owner. 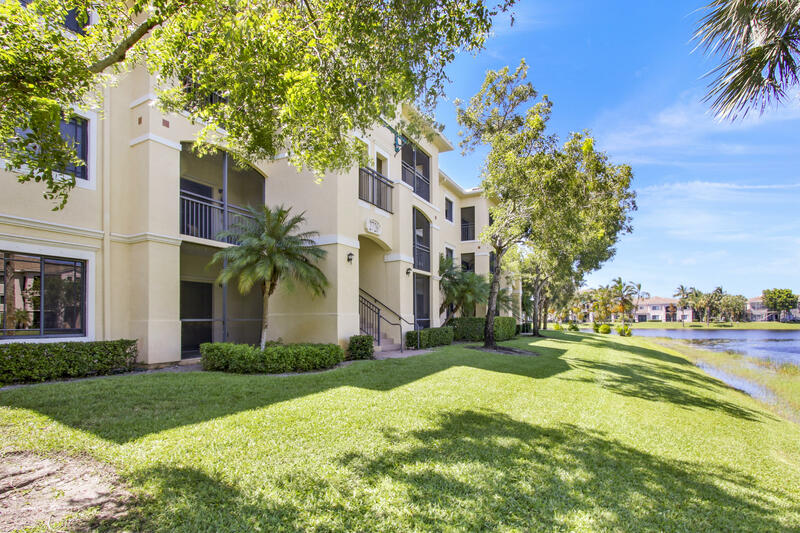 The close proximity to The Gardens Mall and all those restaurant and shops along PGA Boulevard is icing on the cake The beaches and freeways are super close and just minutes to Palm Beach International Airport. Location, location, location.